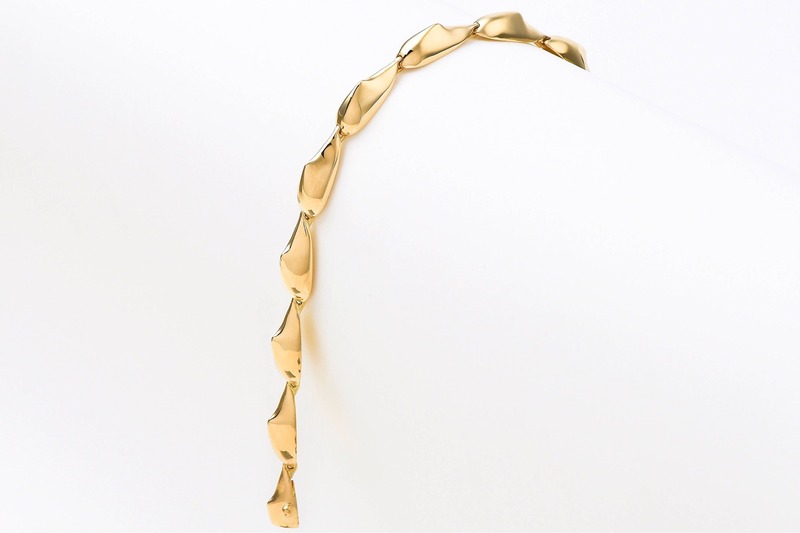 The Spike link bracelet is crafted from 18K yellow gold, hallmarked in Cyprus. 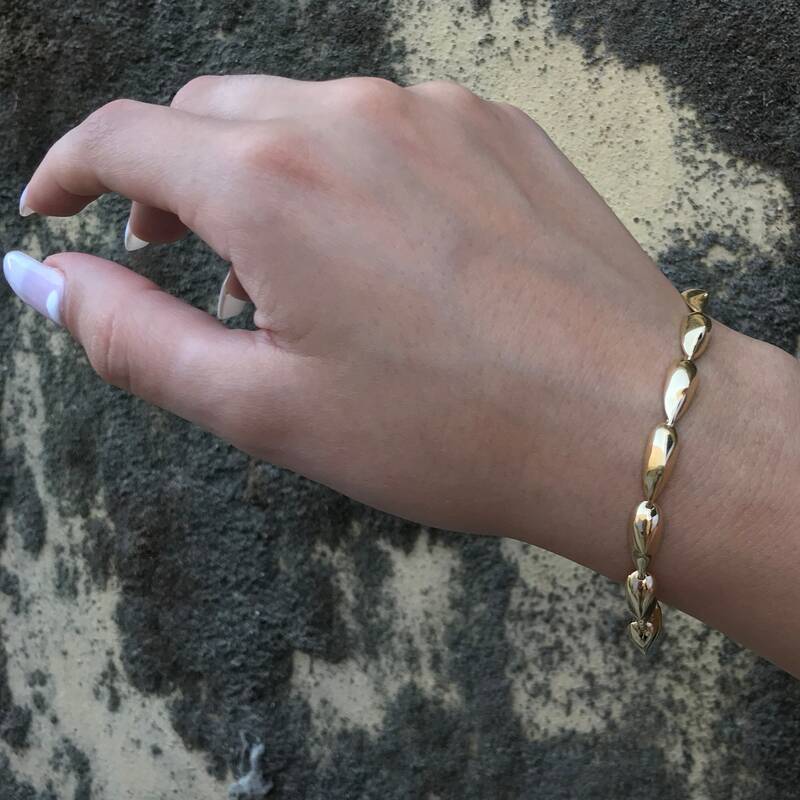 This elegant bracelet comes in a highly polished finish and is composed of hand sculpted parts, masterfully linked between them to allow a graceful movement around the wrist making it very comfortable to wear. The hand made box and tongue closure is discreet and very secure. 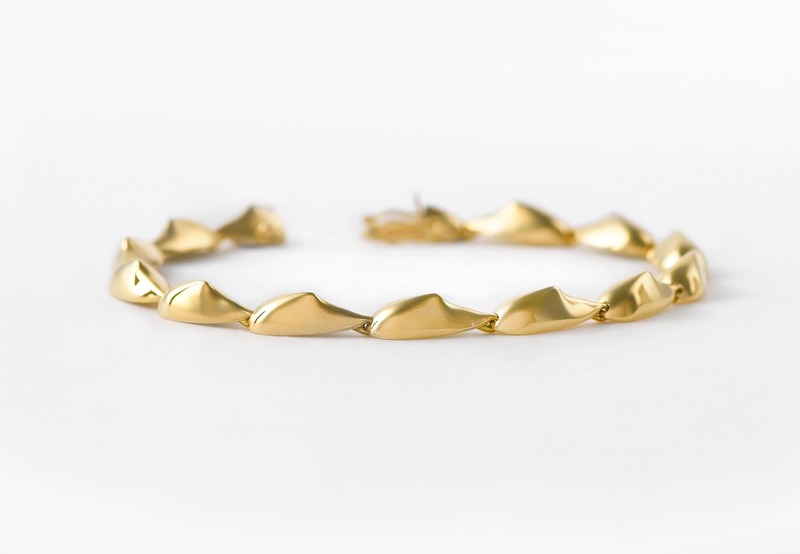 The Spike link bracelet is part of the designer’s latest ‘Spiked’ collection. Special alterations to the size can be pre-ordered by email.